BANGLADESH. Sathkira District. 2010. 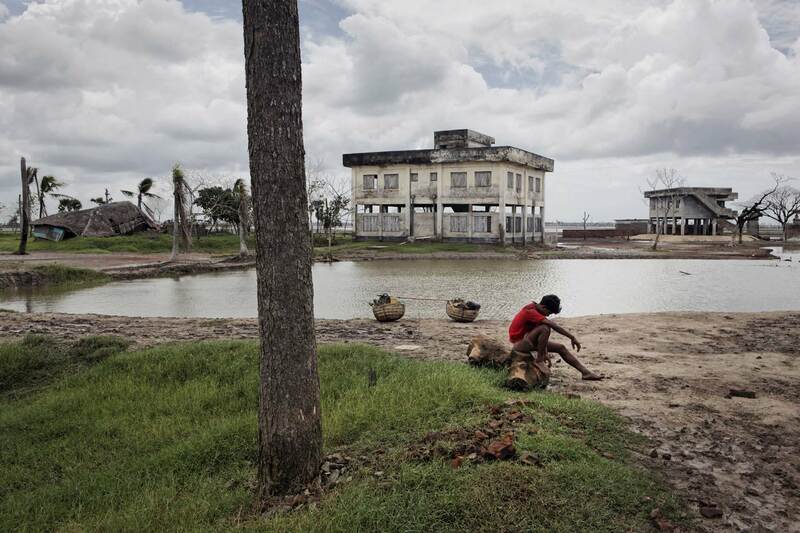 In the midst of the destruction of the 2009 cyclone Aila, a man sits in front of one of the thousands of concrete cyclone shelters erected along the southern coast of the country.